BLACKWOOD’S Coffee & Cars meet, held on the last Sunday of every month in a nondescript car park in Adelaide’s foothills, is fast growing into a quality event. 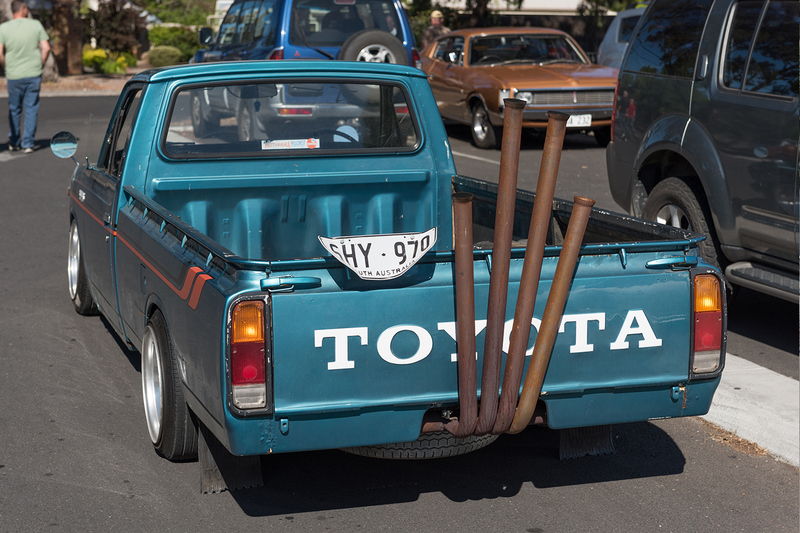 Started by local car nut Roger, the idea was to keep it small, secret and safe – just a few Hills residents talking car-related BS and smashing takeaway coffees from the local café. Needless to say, once social media got wind of it, things escalated quickly. There are no rules, and so far the event has self-regulated. Elite streeters, restored classics, vintage, custom, hot rod, modern – just bring along something that someone, somewhere finds cool. Lensman Cam Inniss and I lobbed into Blackwood’s Woolies carpark at 7:15am to find things already percolating. By 7:50 the car park was chockers; anyone arriving at the unofficial ‘official’ start time of 8am would be relegated out past the wheelie bins into the overflow carpark, or worse still, on the street. So for the next event, get there early, wake up with a sweet latte from Jeff at Mugs & More, and get perving!